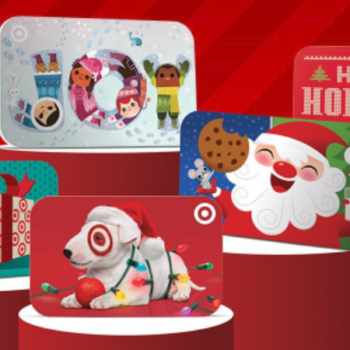 10% Off Target Gift Cards - Today Only! Save on the gift that is great for everyone! 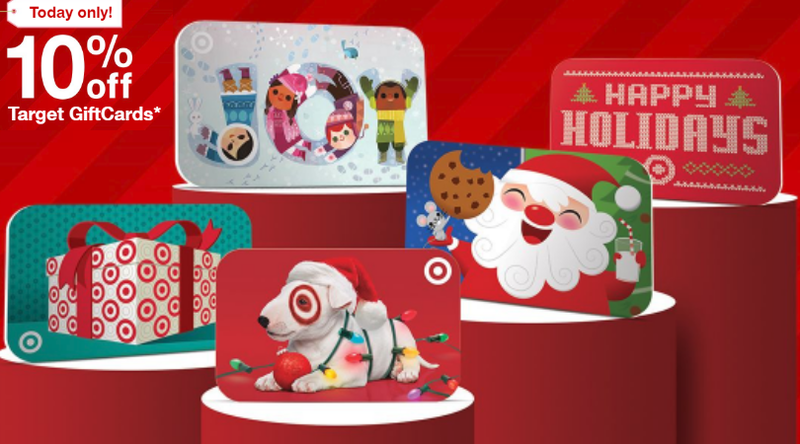 Today, December 2nd only, Target is offering an additional 10% off all gift card purchases (Mail, Email or Mobile Delivery). Limit 1 transaction up to $300 in Target GiftCards purchases ($30 maximum discount) per guest. Minimum GiftCard purchase is $10. Gift card redeemable starting 12/03/17 at 10am CT.